Magnifying the femininity of strong women with a dazzling wake, this October Giorgio Armani releases a new chapter to the popular and beautiful Sì fragrance line. 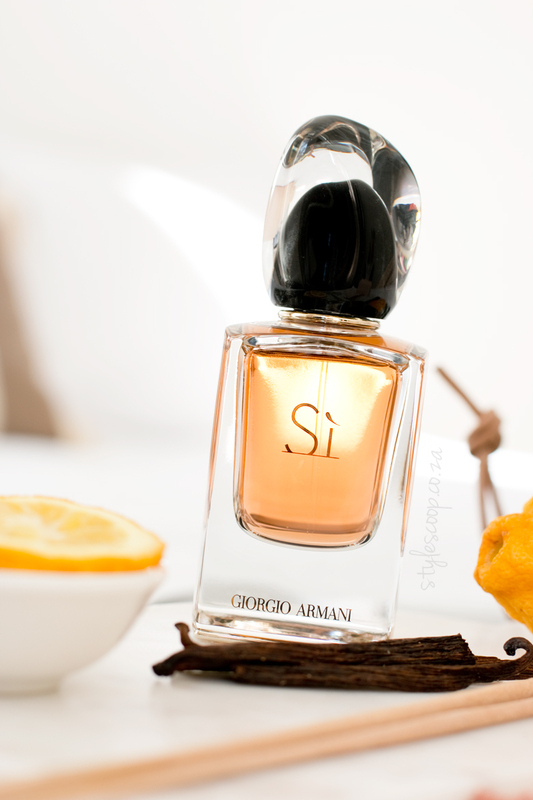 Sì Le Parfum is a rare gem; a vibrant and sensual fragrance with a new intensity of amber accord. These days, it’s quite rare to find parfum extraits. Generally, fragrances either come in the EDP or EDT version, but the parfum is hard to come by. Parfum is more intense, more sensual, stronger and super luxurious. It gives you fantastic wear and the notes develop slower, allowing you to experience the true pleasure of fragrance. 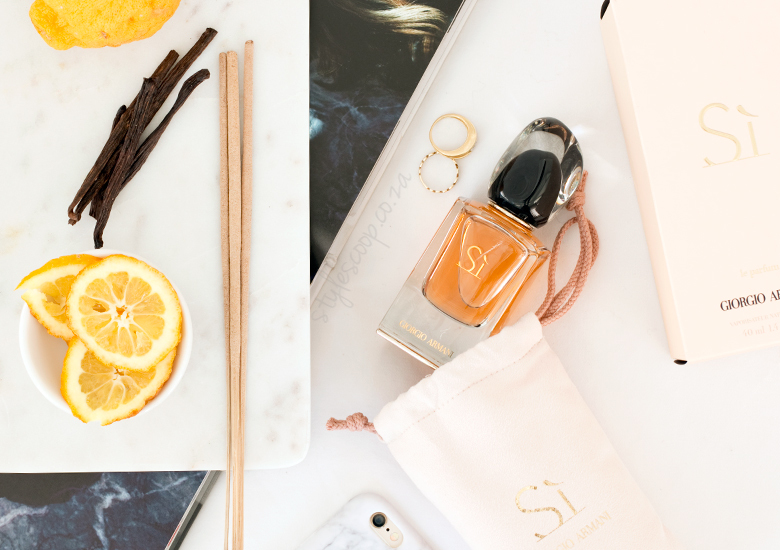 Sì Le Parfum opens with vibrant, prominent notes of juicy Black Currant and Bergamot which combine to release a lovely, crisp, sensual and velvety experience. In the heart lies Jasmine, Osmanthus and Incense (frankincense resinoid), while its intense and luxurious base consists of Amber Accord, Benzoin Resinoid, Vanilla and Cistus Absolutes as well as radiant Patchouli Essence. It’s a strong, opulent and extremely beautiful scent that is every bit the luxury expereince. The thick bottle is luxurious, paying tribute to the precious bottles from another time, but still keeping its modern Giorgio Armani signature style. Sì Le Parfum is only available in a 40ml bottle, however, when I compare it with my other Sì 50ml fragrances, they stand the same height. Sì Le Parfum has a thick glass base and a drop of molten onyx is nestled in the crystal-clear glass cap, making it stand out and adding to its luxury appeal. Furthermore adding to the luxuriousness of the Parfum experience, Sì Le Parfum, like a designer piece, comes with it’s own pale pink pouch, allowing you to protect this precious piece, the same way you would a luxury handbag. I absolutely adore this scent! It’s magical, strong and elegant with a certain air of nobleness. 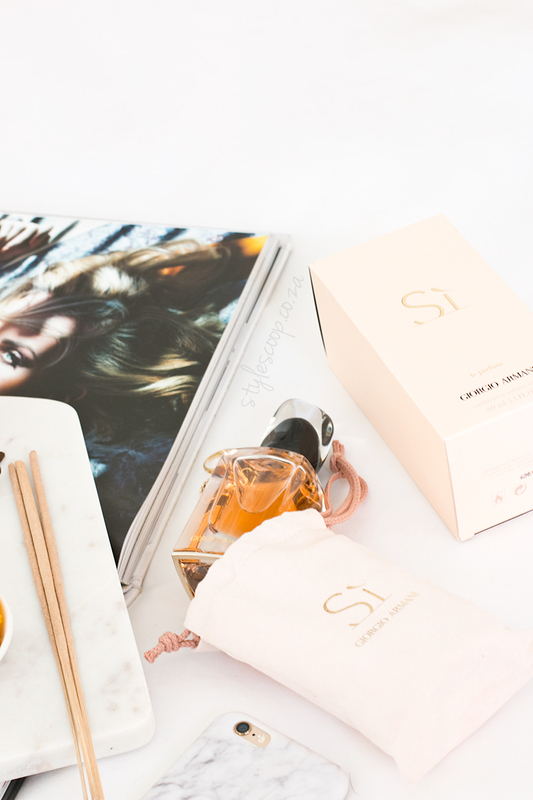 Sì Le Parfum launches globally in September, and in South Africa, you’ll be able to get your hands on it after the 17th October 2016. It will be available at all leading retailers including Edgars, Red Square, Stuttafords, Woolworths, Foschini, Truworths. Price wise, Sì Le Parfum is expected to retail at R1,905.00 and is only availble in a 40ml PARFUM version.